Refugees in the two Karenni Refugee Camps are set to face further cuts to their rations. In the past month, The Border Consortium (TBC), an NGO that supports provisions to the refugee camps along the border, has confirmed to residents of the camps that due to funding cuts they will be forced to further reduce rations, starting in August 2015. 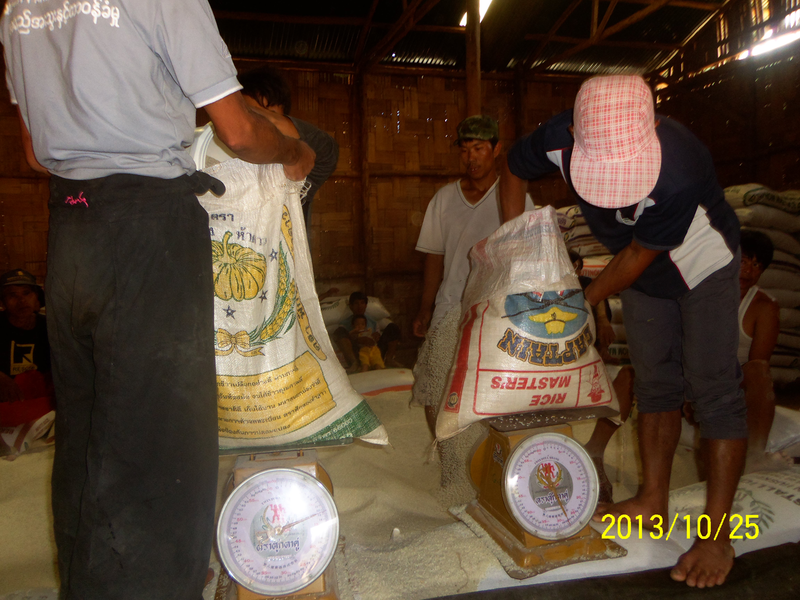 TBC has already confirmed that the new round of cuts will only affect rice and charcoal rations. The stark reality for refugees is that, due to previous cuts of basic food stuffs, any cuts other than to rice would leave the refugees with a diet that is not nutritious enough to survive on. Since the previous cuts, households are separated into different status groups. These are self-reliant, standard, vulnerable and most vulnerable households. The cuts will affect all but the most vulnerable households along with children aged between 6 months and 5 years. The cuts will mean that the first member of each household will receive a 5kg reduction in charcoal. Children and adults in vulnerable houses are set to see their rice rations reduced by 1kg to 11kg of rice per month. Adults in standard houses will now receive 9 kg of rice per month. Although NGOs such as ACTED (Agency for Technical Cooperation and Development) and TBC run livelihood and vocational training inside the camps, SDC’s October 2013 report on ration’s reductions showed that cuts in rations caused many refugees to leave the camp, illegally and at personal risk, to search for job opportunities or to cut down forest surrounding the camps to build farms. Before rice rations began being reduced, refugees in all camps along the Thai-Burma border received 16 Kilograms of rice, every month. Now, for the most vulnerable, they receive 13.5 kilograms. Meanwhile, standard families receive as little as 9 kilograms. These reductions over time are more serious than first appears as they have been accompanied by the removal of other foodstuffs from the rations. These reductions are set to cause serious difficulties for thousands of refugees along the Thai-Burma border. With resources already strained many families will face risky and dangerous choices in the coming months.